There is something I’ve always loved about Halloween. As a child I usually had a mask, no costume, and loved going around the neighborhood with my brothers and sisters and getting loads of candy. As a mom, Halloween marks the start of the holiday season for me. Every year I get dressed up with my kids for an evening of fun. This year my eldest wants to spend the evening with her friends, a sad transition for me as she begins to assert her own independence. I tell folks I work hard all year just to make the magic happen for my family from Halloween up until New Years Day. In June of this year, I lost my mom. Perhaps “lost” is not a good word. It implies that I misplaced her or forgot her somewhere. My mother died at 79 years of age, after a long battle with heart disease. She was my anchor, my counselor and my friend. I feel adrift, broken and overwhelmed by sadness. I have only a few pictures with my mom – I was usually the one behind the camera. In the picture above, she is 52 and I’m 21. 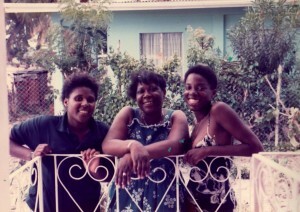 I had just finished college and Mom took us on vacation to her birthplace, Carriacou, Grenada. 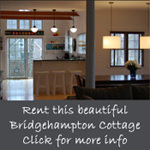 Mom rented a beach front cottage in town for us. I remember having friends come over and just talking and laughing with her and telling us how lucky we were to have such a cool Mom. Mom always had my back and although she only had a primary school education, she pushed me to always do my best. Mom had a deep faith in God, a serious work ethic and a raunchy sense of humor. She loved to “pound torre” (what West Indians refer to as gossip), gamble at casinos and dance. She wasn’t a perfect mother but she was good enough for me. Hi, just came across your blog space whilst looking for micro homes for the caribbean. Sorry to hear about your Mum. The place you took the picture of looks like opposite paradise beach ? My family are from carriacou too. Loved the article about the returnees and the big mansions they are building. Maybe we can pound torree sometime.